Sonnema. Perfectly suited for mixing! 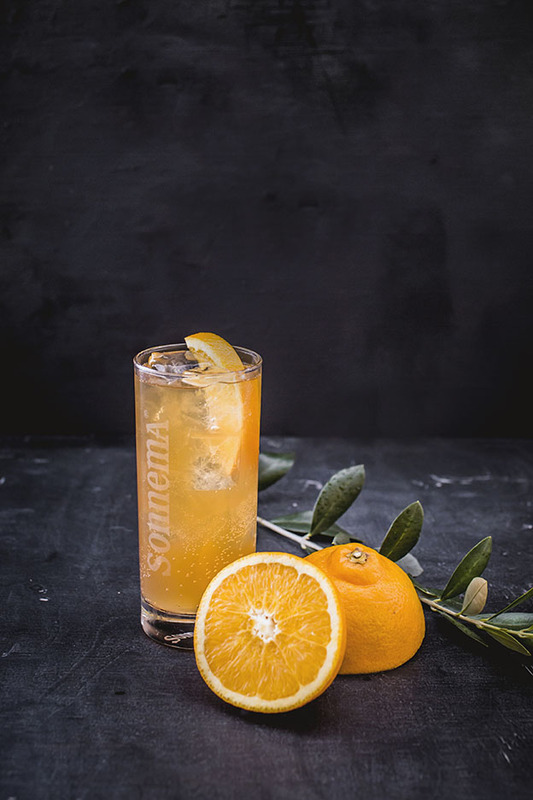 Sonnema is a modern drink that is perfectly suited for mixing. It has a strong character which makes for tasty mixers with various soft drinks and coffee. Sonnema gives your drink a bit of a bite! 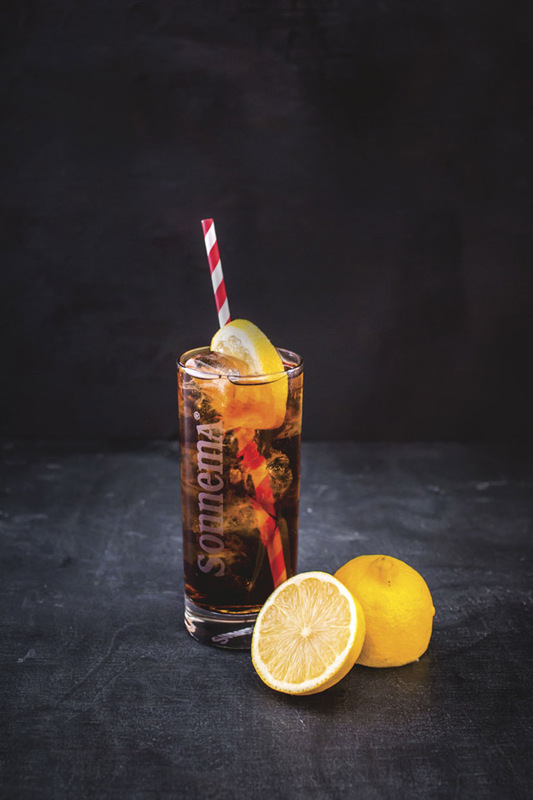 Thanks to its strong bite, Sonnema is perfect when mixed with cola. This mix, served with a slice of lemon, is the ideal drink for an evening in with friends, or when you go on a night out. finish with a slice of lemon! Sonnema Orange is especially popular among students! Popular names in the Netherlands are ‘SoSi’ or ‘Mandarine’, delicious with a slice of orange. with a slice of orange! 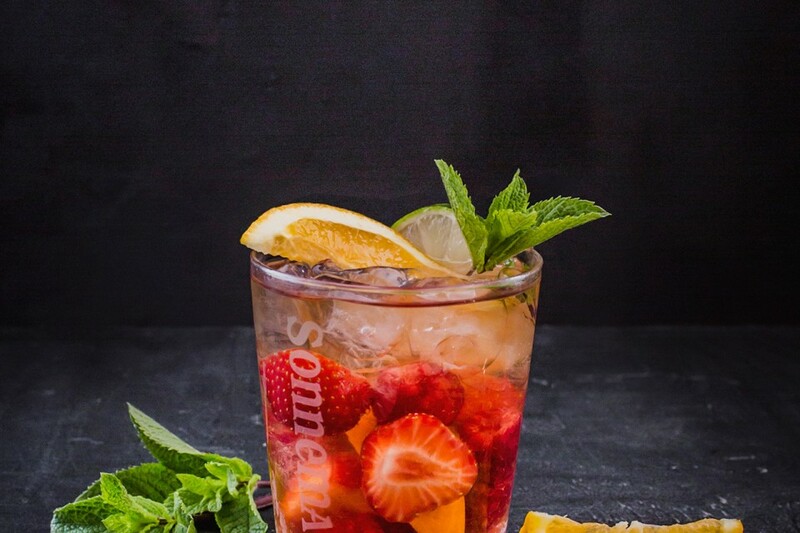 A deliciously fresh cocktail with Sonnema and fresh fruit! Pour all the ingredients into a glass with ice, stir well and enjoy a delicious Sonnema Sangria! 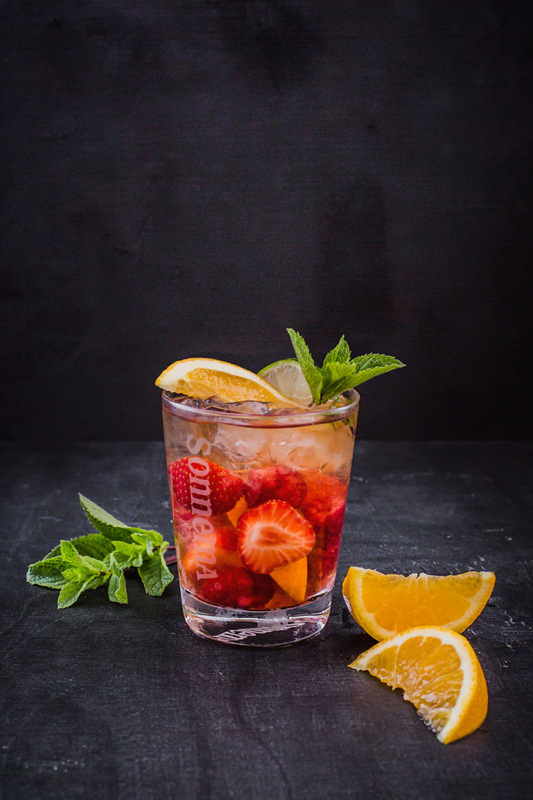 Garnish: Fresh seasonal fruit: strawberries, raspberries, lime slices, orange slices, mint. 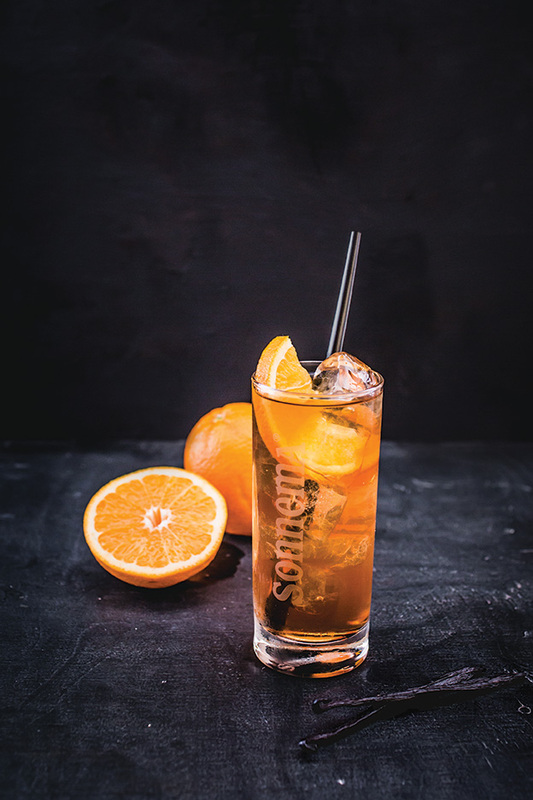 The combination of Sonnema Orange and the hint of vanilla in the Licor 43 is a wonderful surprise! Pour all the ingredients into a glass with ice and stir well.